There is something special about what a nonna (grandma) bakes. It can be the simplest, easiest dish, but with her touch, it becomes the most scrumptious treat! One such treat is our nonna's waffles! 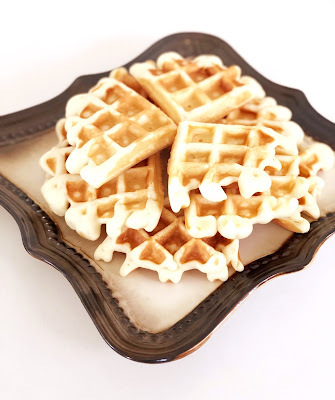 These waffles are quick and easy to make! They can be enjoyed with some syrup, jam, or better yet, nutella (yum!). You can also enjoy them as a special summer treat, with your favourite ice cream squished between two waffle slices (double yum!). Check it out this dolce recipe below and enjoy!